The Host Committee will ensure that fire extinguishers of proper size and rating are available in the exhibit area and will establish an exhibit hall layout that minimizes long rows to reduce the possibility of flame spread. Operation of an open flame, candle, torch or any other heating device is not permitted. Smoking is not permitted in the exhibit area. Packing material shall not be stored under tables. All AC electrical equipment used in your display must have a functional three-wire plug with ground or be CSA approved. Extension cords, power bars and lighting must be CSA approved. Electrical cords shall have a three-wire conductor with ground and must be CSA approved and in good repair. Any modification to an electrical device negates the CSA approval, and that device must not be used. Dry cells (Alkaline, NiCad, NiMH, LiIon, etc.) and sealed lead-acid batteries (gel cells) may be used. Wet cell batteries are not permitted. Electrical devices must be protected by a non-combustible enclosure. An insulating grommet is required at the point where electrical service enters an enclosure. Electrical devices shall use as low a voltage as possible. The electric current must be limited so as not to cause any danger or discomfort if the terminals are touched. A pilot light must be used to indicate when power is on. Exhibits must be sturdy, self-supporting and sufficiently stable to prevent accidental tipping. Sharp edges or corners of prisms, mirrors, enclosures and glass or metal plates that may be contacted by the public must be removed or protected to prevent injury. Dangerous moving parts such as belts, gears, pulleys and blades must be provided with a guard to prevent access to the moving parts. An in-running nip hazard of any part of a motor, device or thing that may be a danger shall be guarded to prevent contact with the pinch point. A certificate of safety inspection must be displayed if a project involves the construction or use of a boiler or pressure vessel with a capacity greater than 42.5 litres or operated at a pressure greater than 103 kilopascals. Evidence of inspection by an engineer with certification in boilers and pressure vessels should be displayed when the project involves any finalist- constructed pressure vessel, regardless of size or pressure. Such vessels may be displayed but must not be pressurized at any time. Compressed gas cylinders shall not be displayed. Moving exhibits (e.g., radio-controlled vehicles, robots) shall be restricted to the regulation display space. The Host Committee may, at its discretion, provide an area to safely demonstrate projects that require more than the regulation display space. Photographs or empty packages of prohibited materials may be displayed. Table salt can be used to simulate many chemicals, such as ammonium nitrate. Water can represent alcohol, ether and many other liquids. Molasses can be used to simulate petroleum products. When chemicals are simulated, they should be identified with the name of the substance they represent, preceded by the word “simulated.” Any WHMIS labels (supplier or workplace) should be attached to show understanding of safe work practices. Cultures – Photographs or simulated cultures may be used. The project display may include pictures of participants if prior permission has been obtained. Projects dealing with forensic science topics must preserve the anonymity of any human victims, and project displays must avoid sensational or gratuitous, macabre images. Live animals (microorganisms, non-vertebrate and vertebrate) shall not be displayed. The only parts of vertebrate animals that may be displayed are those that are either naturally shed by an animal or parts properly prepared and preserved. For example, porcupine quills (safely contained), shed snake skin, feathers, tanned pelts and hides, antlers, hair samples, skeletons and skeletal parts are permissible, while cell and tissue samples are not. Photographs of animals, animal parts or organs may be used on the display and in the Project Report; however, finalists and Regional Science Fair committees must be aware that other exhibitors and members of the public might find such photographs offensive. Finalists are encouraged to choose their photographs in accordance with the accepted norms of the community. Final decision regarding suitability rests with the Safety Check Coordinator and the Executive Director of YSC. Firearms (even if appropriately locked), ammunition, dangerous goods or explosives shall not be displayed. The manner in which such materials were used in a project may be conveyed through text, photos, video, computers or simulation. Images of humans or animals that have been injured by the use of firearms or explosives shall not be displayed. Such images are deemed unsuitable for general public viewing and do not contribute to the scientific value of a project. X-ray or hazardous radiation-producing equipment may not be displayed. Radioisotopes or compounds containing radioisotopes at activities above normal background shall not be displayed. Lasers may only be operated during judging. Our Tour Day will use two of the National Capital Region’s world-class museums as a drop-off/pick-up point and general hub for information about your day. Participants will get the opportunity to explore both the Canada Aviation & Space Museum and the Canadian Museum of History, as well as time to stroll around downtown Ottawa, shop in the Market or the Rideau Centre, or enjoy the tulips along the Ottawa River and Rideau Canal. Each regional delegation will be given a morning departure time and destination prior to Tour Day. Half the delegations will be bused to the Canada Aviation & Space Museum where they will be able to visit the new traveling exhibit “Beyond Planet Earth”, learn about the Canadarm, fly a biplane in “Ace Academy”, and immersive flight experience, and explore all aspect of space and aviation science. The second half of the delegations will be bused to the Canadian Museum of History where they will have full access to all the museum’s galleries including the Grand Hall, the First Peoples Hall, the Children’s Museum, the special traveling “Death in the Ice – The Mystery of the Franklin Expedition”, as well as enjoy “Wonders of the Arctic” in the Ciné+ theatre. Throughout the day (10am – 3:30pm), a shuttle bus will run between the two museums (a 20 minute bus ride) to ensure that all participants have the opportunity to visit both museums. In addition, participants are welcome to walk across the Interprovincial Bridge to downtown Ottawa (15-20 minute walk) where they are welcome to explore Ottawa’s downtown core. Other attractions include the Parliament Buildings, the Royal Canadian Mint, a boat tour on the Rideau Canal, the Canadian War Museum, Sparks Street and the Market, all of which are within a short walking distance from the bridge. Maps of the downtown core, a list of possible attractions and estimated walking distances will be provided to each delegate in order to better plan your time outside of visiting the two museums. After a full day of touring, participants will meet at City Hall (4pm) at which time we will walk to the University of Ottawa where the Faculty of Science will be hosting a BBQ and other evening events. Projects are required to pass a safety check before they can be displayed at the CWSF. The safety check involves an inspection based on a Safety Checklist. Once all items on the checklist are approved, a safety check sticker will be applied to your project’s table sign. Set up your project in the assigned space, including all items and materials that you plan to display during judging and public viewing. Store all packing materials in the assigned area for your region. Once your setup is complete, inform your delegate that you are ready for a safety check. Your delegate must be available if required. Proceed to the safety check area and obtain the Safety Checklist for your project. Wait in the designated area with your Safety Checklist until a safety inspector (red vest) greets you. Introduce yourself, hand your form to the inspector, and bring him/her to your project. The initial inspection should only involve the finalist(s) and the inspector. The inspector’s job is to ensure that your project passes the safety check. If all aspects of your project comply with the safety requirements, the inspection will proceed smoothly. If a safety concern is identified, the inspector may suggest a minor change. Your delegate will be consulted before any change is made. If the change can be made quickly, your project will be approved and the inspector will place a safety check sticker on your project’s table sign. For more serious or complex safety issues, a member of the National Science Fair Committee may be consulted. If extra time is required to make the necessary changes, your Safety Checklist will be returned to the safety check area by the inspector. After the required changes are made, return to the safety check area to obtain your checklist and wait for an inspector who will complete the safety check process and then place a safety check sticker on your project’s table sign. Note: For questions related to project safety at the CWSF, the Chair of the National Science Fair Committee has the final authority. After a full day of judging, participants will have a chance to unwind and relax while experiencing one of Ottawa’s best museums – the Museum of Nature. When darkness falls, the Museum comes alive and participants will have the opportunity to explore the galleries after hours, engage their curiosity with amazing science-themed activities, novel food choices (taco bar, poutine bar and sundae bar to name a few!) and enjoy some great music and “mock-tails”. It will be an unforgettable experience that will move the body and stimulate the mind. Under Project Safety, you are asked whether your project involved the use of humans or animals (vertebrate or invertebrate). Your answers to these questions determine which forms are required in the Project Forms area. Please note: If your project did not involve human participants or animals, no project forms are required. Form 4.1A (Humans Low Risk)is required if your project involved the use of human subjects and the project meets the criteria for low risk, as defined in Youth Science Canada Policy 4.1.1.1 - [Participation of Humans in Research - Low Risk] (i.e., the project involves a survey of attitudes and beliefs, skill tests, or observations of behaviour withthe participants’ consent where there is minimal risk to the participant). Form 4.1B (Humans Significant Risk)is required if your project involved the use of human subjects in an experiment involving significant risk, but the project does not meet the criteria for low risk as defined in Youth Science Canada Policy 4.1.1.2 - [Participation of Humans in Research - Significant Risk]. Form 4.1C (Animals)is required if your project involved any use of animals or animal parts. Refer to Youth Science Canada Policy 4.1.2 - [Use of Animals in Research] for details. All required forms must be downloaded and completed using the free Adobe Reader software. After the form has been filled out on the computer, it should be saved and then uploaded to the online registration system. To upload the saved form, go to the "Project Forms" area and then click the "Browse" button below the red “No file uploaded” message bar. Locate and select the saved form,and then click “Open” to confirm your selection. (If you have done this correctly, text showing the file location will appear in the box to the left of the "Browse" button.) Finally, click the "Save and Upload Forms" button to upload the file. After any project form has been saved and uploaded, it must be printed and then signed as required. Bring the signed form(s) to the CWSF as they will be verified during the Safety Check. Unlike previous years, these project forms should not be faxed or mailed in advance of the CWSF. Interested in learning more about your home for the week? Finalists and delegates are encouraged to join us for a guided campus tour on arrival day(s). Tours will be offered in the early afternoon on Saturday and Sunday. Tours will start with an overview of the essential CWSF facilities. Each project requires a Project Report of no more than five pages plus an appendix of no more than two extra pages for the references and bibliography (see the Format section below for further details). When you have finished writing and editing the report, you should upload the final version online in PDF format, as part of the CWSF registration process. Please note that your report will be evaluated using anti-plagiarism software. A complete Project Report includes the following subtitles and sections. The five-page limit applies to sections 1-5. Sections 6 and/or 7 may be up to two additional pages, for a maximum total of seven. Introduction: a description of the background to your experiment, innovation or study. What measurements or inventions by other people have laid the groundwork for your project? Where did you get the idea? What need are you addressing or what question are you trying to answer? The Introduction should include the specific objectives of the project. For example, if your project tested a hypothesis or if there were design criteria, you would describe them here. If an earlier version of the project was submitted in a previous year, you should describe it and highlight the changes and additional work done. Procedure: a brief outline of the materials and methods used, which might include methods of data/information gathering in a study or construction of prototypes in an innovation, for example. Results or Observations: a summary of the results of the experiment, innovation or study. Graphs, diagrams and charts may be included in your report, but not the raw data or observations. Conclusions: an explanation of what can be concluded from the results of your project and why it is important. Acknowledgements: recognition of those individuals, institutions and businesses that provided significant assistance in the form of guidance, materials, financial support and/or facilities for this work. References: detailed references are mandatory for any specific literature referred to in the text of the report. Key sources used in the development of the project must be referred to in the text and listed in the References appendix. Author, title, source publication, volume, date and page numbers must be given for each reference, where available. Any use of quotations from references must be clearly identified in the report as well as the source being listed in the References appendix. It is recommended that senior projects format their references using APA format, which is commonly used in the scientific literature. Junior and intermediate projects may use APA format too. The references at the end of this article are in APA format. Bibliography (if necessary): a list of all significant sources consulted, but not specifically referred to in the report (books, articles, audio-visuals, documents, web sites with dates of access, interviews, etc.). The format of the report will be a maximum of five letter-sized (8.5 x 11 inches) pages as a PDF file, to include sections 1-5 above. An appendix of an additional two pages is allowed, containing the References and Bibliography (sections 6 & 7). Any additional material will be discarded and will not be distributed to judges. Text must be in 12-point Times, Arial or equivalent type, double-spaced with margins of 2.5 cm (1 inch) all around. Page 1 must have the project title and finalist name(s) at the top. A footer in 8-point type is required on each page containing the date, finalist name(s) and project title as well as the page number. Here is an example of the footer: "16 April 2018 - Jane Doe: The Generic Project - Page 1 of 5"
Indeed, lack of attention to these writing requirements for project reports may result in the downgrading of the project. Respectable scientific work for international consumption is recorded using Système international (SI) units (www.bipm.org/en/publications/si-brochure), which must be used throughout. Correct abbreviations for units must be used. Most physical measurements have uncertainty. Students should be aware of the concepts of accuracy, precision and uncertainty in measurements, and the methods scientists use to represent them e.g. (Bell, 2001). In senior projects, data are expected to have the appropriate number of significant figures, and graphs should have corresponding error bars. Junior and intermediate projects may have as sophisticated a treatment of uncertainty as the finalists’ experience allows. Captions, labels on axes and legends must be accurate and legible. The ability to communicate scientific work clearly and succinctly is an important skill; therefore, the five-page limit (for sections 1-5) is strictly adhered to, regardless of the type or complexity of the project. It is strongly recommended that someone from your regional organization check each project report for length, clarity, completeness and compliance with the formatting requirements. A copy of the Project Report is provided to each CWSF judge before he/she sees the project or interviews the finalist(s). Remember, not only does the report account for 10% of the project evaluation, it is the first encounter a judge has with the project. A concise, well-written report that is free of spelling and grammatical errors makes a good first impression. The Project Report is submitted electronically as part of the online CWSF registration process. It must first be saved as a Portable Document Format (PDF) file, which preserves the appearance of your document regardless of which computer it is viewed on. Please note: PDF is the only acceptable format for Project Reports. Open the document and select Print > Save as PDF on any Macintosh computer running MacOS. Download the free CutePDF Writer (Windows only) and use it to convert your file. Go to Adobe and click “Try it for Free” to sign up and create up to five Adobe PDF files for free. Enter “convert to PDF” into your favourite search engine. You’ll find several other free offers for online conversion services. Get a local computer expert to do it for you. Your region should be able to help you with this process. The Opening Ceremonies and Welcome Event will be held Sunday, May 13th, 2018 at the Canada Science and Technology Museum from 5:30pm until 8:30pm. Participants will have the opportunity to explore and experience the newly-renovated exhibits including Wearable Tech, Game Changers, From Earth to Us and the ever-popular Crazy Kitchen as well as participate in hands-on demonstrations and hear presentations from CSTM educators. Dinner will be served on site. There is no need to dress up for the event - just eat, relax, and have fun! Meet new people and get acquainted, and have a casual evening before judging day! Each regional science fair organization selects one or more adults to supervise the region’s finalists at the CWSF. Youth Science Canada requires that these adults be at least 21 years of age and that they provide the regional organization with proof of a current Vulnerable Sector Screening police check.It is strongly recommended that delegates and alternates read the relevant Youth Science Canada policies before coming to the CWSF. 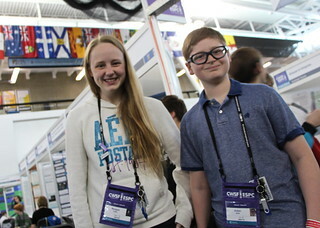 The CWSF is a tremendous experience for both youth and adult participants. Enjoy yourself, but always remember that you have undertaken a significant responsibility as a CWSF delegate. to act as a judicious parent of the student finalists in your charge at all times. to be an official representative of the regional organization during formal meetings at the CWSF. First, you are temporarily acting as the parent of the finalists in your charge. This role is not just a moral obligation but is also prescribed by legislation (in loco parentis). This means that both Youth Science Canada and the law expect you to behave like a judicious parent at all times. Adult supervisors attending the CWSF must be at least 21 years of age on the first day of the CWSF. Delegates, alternates and support adults ,must provide their regional organization with proof of a current criminal record check or a clear criminal record as a condition of participation in the CWSF. Youth Science Canada requires regions to verify receipt of this proof as part of the CWSF registration process. Ensure that your finalists and their parents fully understand that finalists at the CWSF are in your charge, and that they must follow any rules and guidelines you set out for their behaviour. It is vital that you make your expectations for behaviour absolutely clear. You should also review with the finalists and their parents what happens when a finalist’s behaviour is inappropriate. You need to be available to your finalists 24 hours a day while you are at the CWSF. They need to know where they can find you or an alternate at all times. Your consumption of alcohol while you are at the CWSF must be restricted in case you are called upon to assist with a problem concerning your finalists. (Many school boards prohibit teachers and parent chaperones from consuming alcohol on school field trips.) The abuse of alcohol by anyone attending the CWSF is considered a major infraction in the Youth Science Canada Discipline Policy and may result in a delegate being asked to leave the event. Your region’s finalists need to understand that if they experience a problem, all other regional delegates and alternates are available to assist them. The opposite is also true; all finalists are answerable to these adults at the fair. If you are not going to be available for your finalists for a period of time, it is your responsibility to arrange for an alternate from your region or another region’s delegate to assume your role with your finalists. Although there are times when finalists are being supervised by the Host Committee and their volunteers, you still need to be available for your finalists in case the need arises. (If finalists are attending a CWSF social activity without you, they still need to know where you will be.) Delegates are expected not to leave the campus without ensuring that their finalists are being supervised by a responsible adult (i.e., your alternate or a delegate from another region). Leaving your finalists unattended on campus should only occur inthe event of a personal emergency that prevents you from contacting your finalists, the CWSF Host Committee or Youth Science Canada. The second major role of a delegate/alternate is to be a representative of your region. In this role delegates and alternates are expected to attend delegates’ meetings, workshops, banquets and all other CWSF activities where their presence is required. Your attendance at and participation in delegates’ meetings and workshops is particularly important as you are expected to represent the views of your region and communicate information back to your regional committee upon your return. Delegates (one per region) are the voting representatives of their region at the Special General Meeting (SGM) of Youth Science Canada, held each year at the CWSF. This is a formal meeting that includes the election of directors to the Board (three directors are elected each year) and the transactionof any business on the agenda circulated with the Notice of Meeting. Please be sure to obtain the members’ information package, which will be circulated electronically before your departure for the CWSF. This will include the SGM agenda and any motions for consideration, profiles of the nominees to the board of directors and a proxy, should your region wish to assign its vote to another member. Delegates – and alternate delegates – play important roles before, during and after a Canada-Wide Science Fair. With those roles come definite responsibilities that all delegates must fully understand. As a CWSF participant, you are governed by the Youth Science Canada Code of Conduct, which includes specific expectations for adults, delegates and finalists at the CWSF. Maintain and enhance the dignity and self-esteem of CWSF participants. Demonstrate respect for individuals regardless of gender, ethnic or racial origin, sexual orientation, age, marital status, religion, political belief, disability or economic status. Direct comments or criticism appropriately and avoid public criticism of, but not limited to, finalists, judges, delegates, alternate delegates, host committee members, volunteers, guests, staff and members of Youth Science Canada, among others. Demonstrate ethical conduct and practices. Abstain from the non-medical use of drugs. Refrain from any behaviour that constitutes harassment, that is, comment or conduct, directed toward an individual or group that is offensive, abusive, racist, sexist, degrading or malicious. Refrain from any behaviour that constitutes sexual harassment, that is, unwelcome sexual advances or unwelcome conduct of a sexual nature. Comply at all times with Youth Science Canada and CWSF policies, rules and regulations. Abstain from the use of alcohol and tobacco where minors are present. Ensure the reasonable consumption of alcoholic beverages in social situations where minors are not present. Ensure a safe environment at the CWSF by selecting activities and establishing controls that are suitable for the age, experience and background of the finalists in their charge. Ensure that expectations for finalist behaviour and conduct are made clear to the finalists in their charge. Provide supervision for the finalists in their charge in a manner that fulfils what a judicious parent would expect (in loco parentis) – While delegates are not expected to be physically present with their finalists 24 hours a day, finalists should have physical access to their delegate, chaperone or stand-in 24 hours a day. Provide supervision and or assistance to other finalists at the CWSF when the need arises or if help is requested by a finalist or another delegate. Communicate and cooperate with the parents/guardians of finalists and ensure that parents/guardians are aware of the expectations for their children at the CWSF and the range of consequences for misbehaviour by a finalist. Understand the consequences of serious misbehaviour by adults or finalists as described in Youth Science Canada policy1.5.2 Discipline Policy. Welcome to uOttawa, to all CWSF participants and accompanying guests! On May 15, 2018, following your visits throughout the great City of Ottawa, you will be joining us under the tent for a BBQ dinner. You will then get the opportunity to see the campus and then experience and attend great presentations from our professors and our students, workshops from many fields ranging from the magic of chemistry and lab visits, beating the odds of Poker using math, Drugs 101, to hands-on and interactive activities, from 3D printing to holograms, robotics and programming, to name but a few. The faculties of Science and Engineering look forward to your upcoming visit! CELEBRATE at our ceremonies and special events, DANCE their hearts out, EXPERIENCE cultural activities and some of the world-class attractions unique to this region. We’re building upon the CWSF tradition of excellence to create an exciting week-long event for participants and delegates alike. Meanwhile, we wish all participants an abundance of inspiration and dedication as projects are prepared for regional fairs across Canada with the ultimate goal of being selected for the Canada-Wide Science Fair. Good luck! We hope to see you in Ottawa in May! A check-out system will be in place for project take-down. This is to ensure that all project materials and adhesives have been completely removed from the display units. Further details will be available on site. 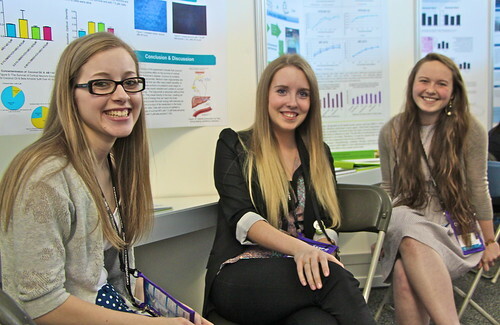 Several universities provide scholarships to top finalists at the Canada-Wide Science Fair. Self-nomination is not required for these awards; the recipients are selected as part of Medal judging. A Carleton University Entrance Award is offered to senior medalists in the Annual Canada-Wide Science Fair. An award of $4,000 is offered to each gold medal winning senior finalist; $2,000 to each silver medal winning finalist; and $1,000 to each bronze medal winning senior finalist. Students must be entering the first year of any undergraduate degree program at Carleton University and pursuing post-secondary studies for the first time. This award will be offered in addition to other Carleton University Entrance or Prestige Scholarships. A Dalhousie University Faculty of Science entrance scholarship of $5,000 is offered to each gold medal winning senior finalist. A Dalhousie University Faculty of Science entrance scholarship of $2,500 is offered to each silver medal winning senior finalist. These awards are in addition to any other Dalhousie entrance scholarship awarded through the regular application process; however, students may only claim one CWSF-based scholarship. A UBC Vancouver Science entrance scholarship is offered, $4,000 to each senior gold medalist and $2,000 to each senior silver medalist. To be eligible for the scholarships, finalists must be admitted to the UBC Faculty of Science (Vancouver campus) and register directly from secondary school. Winners who are in grade eleven may defer the award for one year. A CWSF finalist is eligible to only one UBC science entrance scholarship. If a finalist receives multiple scholarships, at the regional or national level, s/he is entitled to claim the scholarship with the greater monetary value (if there is a difference). Students in a team: If a project wins a medal, that is presented by two students, both team members will be eligible for a full UBC Science Entrance Award (worth $4,000 for a senior gold medal winner and $2,000 for a senior silver medal winner, respectively). Note: To be eligible for the scholarships, finalists must be admitted to the UBC Faculty of Science (Vancouver campus) and register directly from secondary school. Multiple prize winners: A student is eligible for one UBC Science scholarship. If a student receives medals over two years, s/he is entitled to retain the award with the greater monetary value (if there is a difference). Note: To be eligible for the scholarships, finalists must be admitted to the UBC Faculty of Science (Vancouver campus) and register directly from secondary school. Winners at the regional and national level: A student is eligible for one UBC Science scholarship. If a regional UBC Science award recipient goes on to receive an award at the national level, s/he is entitled to retain the award with the greater monetary value (if there is a difference). Note: To be eligible for the scholarships, finalists must be admitted to the UBC Faculty of Science (Vancouver campus) and register directly from secondary school. 3. subsequently enrol full-time (minimum 24 credit hours) in University 1 or any direct entry program. 2. has achieved a minimum degree grade point average of 3.0. A student who has been awarded more than one Gold Medal for a senior project (i.e. in his or her grade 11 and grade 12 years) will be offered only one renewable Canada-Wide Science Fair / University of Manitoba Entrance Scholarship. The Canada-Wide Science Fair / University of Manitoba Entrance Scholarship may not be held with any other University of Manitoba entrance scholarship excepting the Chown Centennial Scholarship and the Advanced Placement and International Baccalaureate Scholarship Enhancement. A recipient who is also named to receive a University of Manitoba renewable entrance award may hold that award, in name only, in the first and second years of study. He/she will be entitled to hold the renewable entrance award in the third and fourth years of study, provided that he/she meets the renewal criteria for that award. The Office of the Vice-President (Research and International) will notify Financial Aid and Awards of the recipients each year. Those who accept the University of Manitoba Entrance Scholarships are offered an undergraduate research internship to work with scientists and take part in important scientific discoveries during the summer preceding their first year of studies in an undergraduate program at the University of Manitoba. The recipient will earn approximately $3,000 as a research assistant to one of the world-class professors. • University of Ottawa is offering an entrance scholarship of $4,000 to each gold medal winning senior finalist. • University of Ottawa is offering an entrance scholarship of $2,000 to each silver medal winning senior finalist. • University of Ottawa is offering an entrance scholarship of $1,000 to each bronze medal winning senior finalist. These awards are in addition to any other University of Ottawa admission scholarship awarded through the regular application process. Awards won at a regional fair and the CWSF can be combined. Only one national level prize may be claimed. Full scholarship amounts will be awarded to both (2) members of a team (when applicable). Students must register full time for the first time in an undergraduate program and meet the admission requirements of the faculty concerned. Students must register in a direct-entry faculty (Arts, Engineering, Health Sciences, Science, Social Sciences, Telfer School of Management) or in the Faculty of Law, Civil Law Section. An Entrance Scholarship of $4,000 is offered to each recipient of a gold medal, $2,000 to each recipient of a silver medal and $1,000 to each recipient of a bronze medal. A CWSF finalist is eligible to only one UWO scholarship. If a finalist receives multiple scholarships, within a single year or over multiple years, he/she is entitled to claim the scholarship with the greatest monetary value. Youth Science Canada has identified seven challenges, known as the Canada-Wide Youth Science Challenges, which focus on issues that are important to Canada’s youth, the future of our country and our world. They reflect the growing trend in current Canadian science, technology and innovation to focus on specific multi- and interdisciplinary global, national and provincial issues. Discovery Sponsor: Youth Science Canada Create new fundamental knowledge based on your curiosity by asking a question and using the techniques of scientific inquiry to develop an answer. Energy Sponsor: Youth Science Canada Improve our use of current energy sources, enable the transition to alternative energy sources, or reduce our energy footprint. Environment Sponsor: Youth Science Canada Reduce our impact on, improve our understanding of, and ensure the quality of water, air, soil, and the diversity of living things. Health Sponsor: Youth Science Canada Increase our understanding of the human body, or apply science and technology to improve health, control disease, or support an aging population. Information Sponsor: Youth Science Canada Enhance communication and our use of information using digital and networking technologies, or applications of new media. Innovation Sponsor: Youth Science Canada Combine scientific principles with your creativity to develop a new material, structure, device, or system to solve a problem or improve an existing solution. Resources Sponsor: Youth Science Canada Develop better ways to use our natural resources that provide sustainable sources of food, products, or prosperity. At the CWSF, 3 awards are presented - junior, intermediate and senior - for the best project that addresses each challenge. The choice of Challenge is determined by the Finalist in consultation with the Delegate. The choice of Challenge has relatively minor consequences, because the only award based on the Challenge selected is a single award. Medals are not awarded based on the Challenge, and neither are Special Awards. Participants should check with their region’s CWSF Team coordinator regarding travel information. He/she receives regular updates from the Youth Science Canada Equalized Travel Plan Coordinator. Will there be vegetarian food? Yes, the caterers are fully prepared for vegetarian, vegan, kosher, halal and other food needs. Make sure to include your dietary restrictions in the registration system. Will there be security for the projects? Yes, there is 24-hour security provided in the Exhibit Hall. We recommend that students keep electronic devices with them overnight. Are parents able to attend the Canada-Wide Science Fair events? Parents and the general public are invited to visit the exhibits during public viewing; Wednesday, May 16 to Friday, May 18. Tickets for the Awards Ceremony will be available for parents and the general public on a first-come, first-served basis. A special Visitors' Package has been created for those wishing to spend a few days in Ottawa. See "Visitors' Package" for details..
Will there be buses running between events during the week? Most events will take place on campus. Participants will be bussed to offsite events such as the awards ceremony. Yes. Campus buildings are fully accessible: however, please indicate any requirements during online registration. Can I choose my roommates in residence? Yes, the rooms at Carleton University are double occupancy. Your Regional Coordinator and/or Delegate will enter roommate preferences in the registration system. Can I have my own room in residence? Bedrooms will sleep two people to a room. Yes. There are phones in the student residence buildings. We recommend that you bring a calling card for long distance calls. Participants are encouraged to phone home regularly. Cell phone etiquette is encouraged at all times. Will there be Internet access during the CWSF? Yes, WiFi Internet will be available on campus, including the exhibit hall and residence rooms. What if I need a computer for my project display? Finalists must make their own arrangements for any equipment required. It is expected that the Finalist will bring their own device. Do regions have to send a delegate of each gender if the region has male & female finalists? No. While this is preferred for groups with more than five finalists, the residences and activities will be organized to ensure adequate supervision for both genders. Regional Delegates will share this responsibility. Most of the week is casual and comfortable walking shoes are recommended however, many finalists choose to "dress up" for judging. The awards ceremony and banquet are designated as “dress-up” activities, which usually means a suit or jacket and tie for men and a dress or skirt/blouse or suit for women. Floor length dresses are not recommended. Consider warm clothing, layers, and rain gear for outdoor portions of the event. A sweatshirt or hoodie is advised. For air travelers, one piece of valid government issued photo ID that shows name, date of birth and gender is required. Reference: Government of Canada - Identity Screen Regulations. Note: The name on the identification must match the “legal name” in the CWSF online registration system, which will appear on the boarding pass. Dress clothes for the Awards Ceremony/Banquet; business attire for judging; casual clothes for other occasions; comfortable shoes for walking and active tours. One towel will be provided for each participant. Health card and personal identification (see above for air travellers). Comfortable footwear and clothes for all seasons. Check the Ottawa weather forecast closer to the event. You really could have all four seasons in one day. Personal toiletries and required medications; Gravol for motion sickness on aircraft, trains, buses or boats. Musical instruments and other performance items can be brought if you’d like to share your talents in lounge areas. Reading material, games or other quiet activities for between judging interviews. Camera, alarm clock, cell phone and charging devices. Regional fair pins or other items for trading. All materials and equipment for your project, carefully packed to meet airline or shipping regulations. Please note that the new project display system will be used. Supplies needed to set up the project must be placed in checked baggage only – Airport security will confiscate tools in hand luggage. Backup digital files for your display materials (just in case), data/logbook and extra copies of the Project Report. Materials needed to repack the display materials. What does CWSF registration include? Travel to Ottawa is provided for regional participants (finalists, delegates, and support adults) through the CWSF Equalized Travel Plan. Incidental costs incurred by participants (souvenirs, phone calls, purchased snacks, entrance to museums, etc.) or regions (baggage fees, activities in addition to the scheduled program) are not included. The International Baccalaureate (IB) Program World Office rules state that IB candidates must write their exams at their home school. In recent years, this has meant that an IB candidate selected for the CWSF had to choose between the CWSF and writing his/ her IB exams. Recently however, several CWSF finalists have been successful in securing an exception to this ruling, based on the fact that the CWSF is an "international event." Section A9.5.4 of the Special Circumstances and Arrangements section of the IB Guidelines, which are only accessible to a school's IB coordinator (i.e., at the finalist's school), states that a student may write his/her IB exam(s) at another location if the exam scheduling conflicts with "an event of international significance" in which the student is participating. It goes on to specify that the event must have participants from two or more countries other than the host country. The CWSF qualifies under this provision, as we welcome guest participants from Mexico and Taiwan. The CWSF Finalist, together with his/her school IB Coordinator, must submit a Change of Venue for Exams request, citing "conflict with an event of International significance." If the request is successful, the IB office, in collaboration with the school's IB coordinator, will arrange to send the exam(s) to an IB school in the CWSF host community, where the finalist writes the exam(s) under their supervision. Please note that Youth Science Canada has no involvement with, or influence over the success of these requests. Finalists - and their school's IB Coordinator - are urged to submit Change of Venue for Exams requests as early as possible to ensure the greatest probability of success. There are a number of IB Schools in the Ottawa area. CWSF finalists who have an AP exam scheduled on May 14 to 18 during the CWSF must arrange for late-testing with their school’s AP Coordinator. The AP late-testing dates and times – during the week after the CWSF – are posted at: https://apcentral.collegeboard.org/courses/exam-dates-and-fees/late-testing-dates. There is a US$45 fee per exam for late testing under these circumstances. Please note: Late-testing arrangements are the sole responsibility of the CWSF finalist and his/her parent/guardian; Youth Science Canada assumes no responsibility for finalists missing exams, additional exam fees, or any other aspect of AP exam arrangements. The Awards Ceremony will be held on Thursday May 17 from 15:30-17:30. Following the Awards Ceremony, all attendees will have the opportunity to mingle with new friends and enjoy photo ops. Buses will transport Finalists and Delegates to the EY Centre for the Dinner and Dance. Tickets for the Awards Ceremony will be available to visitors on a first come, first served basis. See Parents and visitors for all the details. The fun will continue at the EY Centre as we celebrate an amazing week of accomplishments! CWSF 2018 Finalists and Delegates will enjoy a celebratory Awards Gala Dinner and Dance. Snacks and the usual Finalist Lounge activities will be available as well. This event is open to Finalists and Delegates only. The purpose of the CWSF Awards is to reward outstanding scientific and technological achievement and excellence by Canada’s young scientists at the national level and to recognize those national finalists at the Canada-Wide Science Fair whose achievement places them above the rest. About 325 judges from University, the public and private sectors, sponsors and regional science fair partners across Ontario volunteer their time to judge the science on display at the CWSF. Awards include the Special, Challenge, Excellence (medals), and Grand Awards, with nearly $1 million presented as cash, scholarships, travel and other prizes! Youth Science Canada, with its National Judging Committee (NJC), establishes the criteria for awards, sets the judging standards, oversees selection of the CWSF Chief Judge, recruits award sponsors and organizes the presentation of the awards. The CWSF Chief Judge recruits and trains judges, coordinates the judging process and selects the Special, Challenge, and Excellence Award recipients. A special Youth Science Canada panel selects the Grand Award recipients from the gold medal winners. Awards are assigned to the best eligible project on the basis of ranking projects relative to others at the current CWSF. Award recipients are selected based on the quality of their projects and presentations. Neither formal nor informal selection criteria based on gender or ethnocultural heritage are permitted in the National Awards Program or at the Canada-Wide Science Fair. These awards are for outstanding projects that meet specific criteria within a particular aspect of science and often reflect the special interests of the sponsoring foundations, companies and professional associations. All Special Awards include cash awards, trips, summer internships and other prizes for outstanding projects that meet specific criteria established by the sponsor(s). Self-nomination is required; judges will only consider projects that the finalists have nominated for these awards in the online registration system. The list includes all available Special Awards. A project may be nominated for up to three Special Awards. Only those awards for which a project is eligible will appear in the Special Awards area of the CWSF online registration system. Special Awards judges spend approximately 10 minutes with each project. Judges expect to hear a brief (5 minute) summary of the project and why it deserves the award, followed by time for questions. Self-nomination is a commitment to accept the award as offered. If you plan to nominate your project for a travel or summer experience award, be sure you do so only after careful consideration and with parent/guardian approval. Please note: Certain Special Awards involve travel and a commitment to be away from home for an extended period of time, to travel to another country and/or to live in unfamiliar surroundings. All travel involves an element of risk. Foreign Affairs Canada provides advice to international travellers through their website. Challenge Awards recognize the top project in each of the 7 Canada-Wide Youth Science Challenges in each grade category. The seven Canada-Wide Youth Science Challenges – Discovery, Energy, Environment, Health, Information, Innovation and Resources – focus on issues that are important to Canadian youth, the future of their country and their world. They are meant to inspire students to exercise their curiosity and creativity by answering a question or solving a problem by doing a science project. During registration, finalists identify the challenge best addressed by their project. Interviews for these awards are unscheduled, and students may or may not see a judge for one of these awards. The project demonstrates Level 3 or 4 of Scientific Thought (see Judge’s Marking Sheet). The project contains no glaring or significant errors. First, judges read the Project Reports in advance and, on the evening before judging, view the projects without the finalists being present. On judging day, each of the four judges meets with the finalist(s) for about 20-minutes. Judges expect to spend approximately 10 minutes hearing a presentation about the project, followed by 10 minutes for questions. After the finalists have left the exhibit area for the day, each judging team meets to discuss each project and assign a consensus score based on the project level and relative merit of each project. After these scores are compiled, representatives of each judging team within a grade category meet to review the ranked scores and determine the Excellence (medal) and Challenge Award recipients. This step involves considerable discussion among the judges and may require additional viewing of projects without the finalists present. Sponsor representatives may work with the category teams at this time to select the recipients of Special Awards. 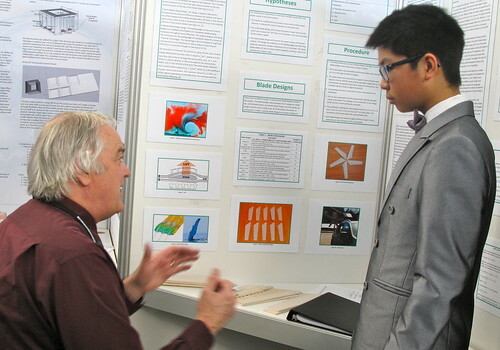 Several universities provide scholarships to medal winners at the Canada-Wide Science Fair. Senior: Eight projects each receive a $1,000 cash award and certificate. Four of these eight winners receive an additional $7,000 cash award. Two Platinum Awards and the Best Project Award are presented to the top three projects at the CWSF - best junior, intermediate, and senior. These awards include a crystal presentation award and a trip to represent Canada at the 2019 European Union Contest for Young Scientists (EUCYS) in Sofia, Bulgaria. A special panel of Youth Science Canada appointed judges selects the Platinum and Best Project Award recipients from the gold medalists. The Exhibit Hall will be in The Fieldhouse, located in the Carleton Athletics Centre. Admission to the Exhibit Hall is restricted to those with CWSF ID, from the start (Sunday, May 13) to the end of the fair (Friday May 18). The only exception is during scheduled public/school viewing. A CWSF display unit, including a preprinted header sign with the project title is provided for each project. Use of the CWSF display unit is mandatory - do not bring a backboard of any kind. Approved adhesives will be provided and must be used - no other adhesives may be used. Each CWSF display unit will have access to one AC outlet. Wireless Internet will be available in the exhibit hall. Go to your assigned project number. Each display unit will be supplied with adhesives. If you need basic tools (e.g., scissors), or additional adhesives, go to the Tool booth. If you need technical/computer assistance, go to the Information booth. Follow the procedure for the Project Safety-Check. Note: No display materials may be added after the project has been approved. Every project at the CWSF uses the same display unit - an aluminum frame with two white vertical panels, a triangular table, and a header sign pre-printed with the project title and finalist name(s). Use of the CWSF display unit is mandatory - do not bring a backboard of any kind. The dimensions of the CWSF display unit (accurate to 1cm) are shown below. The diagram further down illustrates how standard paper pages fit on a display panel when arranged in a grid. Click each image to download a PDF file suitable for printing. The following information provides a summary of the display requirements. Finalists, delegates, parents, and Regional Coordinators are urged to review the CWSF Project Displays policy in detail when preparing CWSF display materials and before signing the CWSF Permission and Release Form. Some items accepted for display at a Regional Science Fair may not be permitted at the CWSF. Before being approved for competition at the CWSF, each project must pass an inspection to ensure that the material on display complies with the CWSF Project Displays policy. Once the project has been approved, no display materials may be added. Presentation materials must be attached to the white display panels above the table, and may overlap from one panel to the other. Materials may not be attached to the display unit frame, including the header sign. Adhesives for affixing presentation materials to the display panels will be supplied; no other adhesives may be used. At the end of the CWSF, display panels must be returned to their original condition, with all project materials and adhesives removed. Although we will have sufficient tape for all participants, you may wish to bring your own supply of 3M Scotch 110 Heavy Duty Mounting Tape, as pictured, which is available in 1.9m rolls at Staples and Home Depot. Presentation information including text, graphics, photographs and other data on the display panels must be printed on bond paper (laser, inkjet, or standard copier), or photographic paper. Laminated paper is permissible, but discouraged due to the environmental impact. Construction paper, Bristol board and papers listed above may be used to outline or border presentation information or to add small decorative elements to the display panels. If you are preparing a large-format poster, Staples will print a 24 x 36 inch page for about $30. A local municipal office, engineering or architecture firm, land surveyor, or university might be able to print a large poster at lower cost. Finalists are encouraged to bring a USB drive with the files for their presentation materials saved as PDF files. Papers presented on the table must be secured in a binder, Duo-tang, presentation folder, plastic sleeve or other appropriate enclosure. Other display materials must comply with the CWSF Project Displays policy, which includes detailed rules for: fire safety; electrical safety; structural and mechanical safety; chemical safety; biohazards; human subjects; animals & animal parts; firearms; and hazardous materials and equipment. Computers, tablets, and other electronic devices that comply with electrical safety requirements may be used as display materials. Finalists should remove all valuables from their display when the exhibit hall is closed. A project may be granted additional space to display an innovation that exceeds the capacity of the display unit table. This request must be made by the Regional Coordinator to the CWSF Fair Director. The final authority for approval rests with the Executive Director. Although every effort will be made to prevent damage to exhibits, Youth Science Canada, the Host Committee or other sponsoring organizations or cooperating groups accepts no responsibility for loss or damage to any exhibit or part thereof. The STEM Expo will be Canada's largest youth science, technology, engineering and mathematics outreach and promotion event and will run concurrently with the CWSF Wednesday to Friday. Exhibitors will include government agencies, universities and colleges, private companies from various industries, outreach and education programs, museums and youth groups. The Expo is focused on offering engaging, hands-on activities, inspiring presentations and exciting demonstrations to all our visitors to showcase the opportunities that exist in STEM. It will take place in the Raven's Nest and the Fieldhouse, adjacent to the finalists' exhibits. Early in the week, the focus for the finalists is on scientific, social and cultural program activities, including judging for the competition. During the last three days of the Fair, finalists will not only share their projects with 10,000 visiting students, teachers and the public, but they will also have an opportunity to explore the STEM Expo. STEM will be the premiere showcase of Science, Technology, Engineeringand Math education and implementation, featuring student, community, and professional groups from every corner of the province! The STEM Expo will take place in the Raven's Nest, as well as within the Fieldhouse, adjacent to finalists' exhibits. Exhibitors will present engaging hands-on science activities applied to real life situations! Finalists will have time to view the STEM Expo on Wednesday, Thursday and Friday. 10,000 students from schools across the National Capital Region will be visiting the STEM Expo Wednesday through Friday, to interact with finalists and participate in STEN activities. The public is also invited to STEM from Wednesday to Friday. When participating in a mentoring relationship, Youth Science Canada asks that all mentors and mentees review these guidelines, in order to develop a rewarding, beneficial relationship for all who are involved. Youth Science Canada is dedicated to nurturing the scientific impulse, creativity, and dedication amongst Canadian youth - encouraging them to develop scientific and technical knowledge and skills through project-based science. We are inspired by the potential of Canada’s youth to improve the world through science and we make programs and resources to help realize that potential. We recognize that mentorship from those established in the Canadian scientific community can provide an enriching relationship for youth engaged in project-based science, adding to knowledge and experience. A mentor is a teacher, guide, or advisor who works with an individual who is developing their scientific knowledge and expertise, providing support, insight, and resources from their own scientific background and experience. Mentors encourage and empower youth involved in project-based science to help them succeed and discover their own abilities and passions in a supportive, non-judgemental manner. Mentors provide an environment in which youth may learn and grow, whether that be in a laboratory setting, or virtual communication. Mentors benefit from their participation by raising their academic and community profile and developing a relationship with a member of Canada’s youth. It is the student’s role, and not the mentor’s, to conceive the project’s specific topic. All data taking must be the student’s own, unless the student does not represent it as his or her own and credits the actual data taker properly. Similarly, analysis of the data, the write-up of the project, and any public presentation of thereof are also exclusively the student’s responsibility. A student undertaking a mentored project has the responsibility to disclose that her/his project was mentored and by whom. Read and respect Youth Science Canada's Academic Integrity Policy. Always maintain a professional relationship with your mentee. For the protection of the mentor and the student, all meetings should be held in the presence of others during business hours, at the student’s school in the presence of a teacher or staff member, or at another location with a parent or guardian present. Complete any tasks you have agreed to do with your mentor in a timely manner; Maintain the confidentiality of all ideas, products, and materials that your mentor has, or may develop. Hold all sensitive scientific information provided through the relationship with your mentor in strict confidence. Always maintain a professional relationship with your mentor. 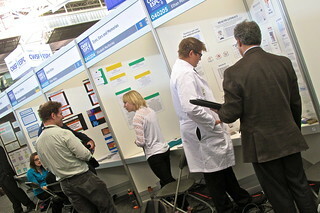 Finalists will be asked to enter the level of mentorship received when they register for the Canada-Wide Science Fair. and much more (be sure to read through the full list of tour descriptions)! This will be a day full of fun, adventure, and discovery - are you ready?! Youth Science Canada has policies governing the use of human participants, animals (vertebrate and invertebrate) and animal parts in research by young scientists (elementary and secondary school students). Ideally these policies are consulted prior to beginning work on the project; however, even if they have not been, they define what is acceptable at the Canada-Wide Science Fair. All human participants in scientific research must give Informed Consent, which comprises consent, confidentiality and the right to withdraw. Class surveys of attitudes, beliefs or skill tests, such as “Do my classmates remember better if they read while listening to jazz or hip hop?” may be termed Low Risk, as defined in the Participation of Humans in Research - Low Risk policy. For Low Risk projects, completion of the simple Participation of Humans - Low Risk (Form 4.1A) is required. Approval by the student’s adult supervisor is usually sufficient to ensure that the appropriate ethical issues have been addressed. Be aware, however, that not all such surveys are low risk. For example, a survey to measure the Body Mass Index of class members could affect participants’ self-esteem and would therefore be classified as Significant Risk. The Participation of Humans in Research - Significant Risk policy establishes what constitutes a drug and specifies that drugs and invasive procedures may only be used in a science project experiment under the direction of a qualified Scientific Supervisor. Effective October, 2010, sensory food projects (i.e., those designed only to assess the sensory characteristics of a food or drink), within certain restrictions (e.g., not involving "energy drinks"), are the only ingestion projects considered to be low risk. Significant risk ingestion projects are only allowed at the CWSF if carried out under professional supervision at a laboratory with its own internal Ethics Review Committee, such asa university or hospital laboratory. Projects in which human participants, including the student researcher, are required to consume a substance or apply a substance to the skin must be carefully reviewed for compliance with the indicated Humans in Research policies before any testing begins. All projects involving human participants in ways other than surveys and skill tests are considered Significant Risk. For Significant Risk projects, the more detailed Participation of Humans - Significant Risk Approval (Form 4.1B) must be completed, and the indicated approval procedures must be followed. Experiments on embryos - These experiments are subject to the same rules that apply to the animal producing the embryos. Studies of mammalian embryos are restricted to observation without intervention with drugs or other chemicals. Research involving cephalopods (cuttlefish, nautilus, octopus, squid, etc.) must follow the same rules as for vertebrates above. Research on all other invertebrate animals is presently unrestricted, except that the project must have some scientific or educational merit and be judged to be ethical. The Use of Animals in Research policy establishes what constitutes a drug and specifies that drugs may only be used in a science project experiment under the direction of a qualified Scientific Supervisor. Form 4.1C Animals - Approval is used to ensure that the appropriate review of projects involving animals has taken place. Each Youth Science Canada-affiliated region is expected to set up a Regional Science Fair Ethics Committee- even if it’s a committee of only one person - who will undertake to become knowledgeable in the rules and ethical issues surrounding student research. Enzymes are complex protein molecules that carry out specific functions in biological cells, acting as catalysts to speed up the rate of biochemical reactions. They are used in numerous industrial and household products from detergents to food. In our biochemistry lab at Carleton University, you will use typical techniques in enzymology to determine the effects of various factors on the activity of an enzyme. Imagine you are sitting in a classroom with a number of other students. What do you think the probability is that at least two of you share a birthday? How many students would need to be in the room in order for this probability to be 50%? What about 99.9%? The answers will surprise you! Are you interested in seeing how we manufacture components that make commerce, communications, entertainment, transportation all possible? The Carleton University Microfabrication Facility is used for manufacturing silicon integrated circuits and other devices in support of research in many fields. Choice 5 – Discover the electron in yourself! Perform for yourself the classic 1897 experiment that first identified the electron as a subatomic particle. You will create a beam of electrons and steer it through electric and magnetic fields to measure just how much charge this tiny mass carries. Welcome to the Discovery Centre at Carleton University’s MacOdrum Library! The Discovery Centre offers interactive learning labs and spaces. You will explore the ways the library incorporates innovative technologies and adds multiple layers of discovery to learning and research. You will get hands-on experience and instruction in our various learning labs including the 3D Gaming Lab (including 3D printers), the Multi-Media Lab, and the Standing Work Stations (treadmill desks and huddle tables). Drone are flying robots, without on-board human pilots. They have revolutionized many areas, such as surveillance, search and rescue, aerial imagery and package delivery. They can work in coordinated groups. Their autonomy and ability to achieve complex reasoning are growing, thanks to advances in artificial intelligence. Drone hacking is an activity aiming to modify and extend the capabilities of a drone. In this session, students will learn about the system architecture of a drone, drone control and programming, review the system components and learn how each of them is hackable. Access to the navigation system, computer and communication system will be discussed. Offered in English and French. Visitors to the Department of Earth Sciences will spend half of this hour-long tour in our teaching laboratories investigating how igneous, sedimentary and metamorphic rocks using rock specimens, thin sections and petrographic microscopes, and the other half of the tour visiting the Isotope Geochemistry and Geochronology Research Centre (IGGRC) to learn how we precisely measure radioactive element contents and radiogenic isotope ratios in Earth materials to determine their ages and gain understanding of Earth processes and history. Check out innovative projects and problems students work on in Systems and Computer Engineering relevant to today's technologies. Measuring engine performance including efficiency at different speeds on different types of engines in a controlled environment. In this fully hands-on challenge, students will learn to differentiate a product, build a prototype, and organize to deliver quickly and win the contract. Students will create teams and engage the client in a competitive bid process for a new Airplane. They will design, test and ensure compliance. During this stage the market conditions may change. Upon agreed timelines the teams will promote (pitch) their offer and competitive advantage to the client. Ultimately the contract will be awarded. Ever wonder how your brain and your body communicate with one another? Visit the Carleton neuroscience teaching labs and learn just that! Moving through a series of short hands on activities, you will have a chance to: map your own sensory homunculus, record the electrical signals our neurons use to communicate, and maybe even use your brain to control your lab partner’s arm. Offered in English only (may be bilingual if needed). Choice 13 – Explosions, NMR and nano-imaging Come and explore the chemistry department! This tour is composed of 3 parts: (1) a chemistry demonstration featuring fireworks, explosions and glowing chemicals, (2) a demonstration of Nuclear Magnetic Resonance (NMR) and how it can be used to characterize ethanol/alcohol, and (3) a tour and hands-on demonstration in the state-of-the-art Nano Imaging Facility (NIF) where students will be asked to provide samples for imaging. Come spend some time outdoors!! Students will have the opportunity to participate in ecological field sampling in Brewer Park, adjacent to the campus. You will have the opportunity to learn about local plant and bird conservation issues, invasive and threatened species, as well as bird and tree identification techniques. This tour includes actual field work – students will get hands-on experience setting up transects and quadrats for measuring plant diversity, plant identification, and conducting bird surveys. Come and visit the Cognitive Science department and experience the Advances Cognitive Engineering (ACE) and visualization and simulation labs. In the Large Flight Simulator Lab, experience the thrills of flying a full-scale Cessna 172 over the Gatineau Hills. Just what is a pilot’s brain busy doing while he or she is flying… Much more than you realize! You will learn about the importance of cognitive factors when it comes to flying an aircraft. In the Virtual Reality Lab, experience what it is like to be immersed in virtual reality. In the Brain Computer Interfaces lab, you will watch as a wireless electroencephalography (EEG) device responds to brain activity to control a mouse and other objects on a computer screen. We need volunteers, so perhaps you will get to see your own brain waves in action! A popular discussion of a quantum phenomenon that plays an important role in our everyday lives. This tour will include an experimental demonstration that makes visible the decays of nuclear particles. Bacteria, fungi, and viruses live all around us, on us, and inside of us! We'll talk about the ways in which microbes contribute to environmental processes, to health, and to disease. You'll have the opportunity to carry out experiments in the microbiology lab, look at various kinds of microbe, and sample microbes from the environment. A tour of the net-zero energy tiny house and a discussion of the different innovative technologies used in this unique 4th year capstone design project. With two waterways adjacent to Carleton University campus, it is a perfect opportunity to do some Water Quality Testing! We will introduce you to our Water and Ice Research Lab (WIRL) and you will get hands on experience running water quality tests using Vernier sensors. You will collect water samples from the waterways adjacent to Carleton University campus. Then you will bring these samples back to the WIRL lab to measure temperature, pH, turbidity, dissolved oxygen, and total dissolved solids. Come and check out our Geomatics lab where you will use ArcGIS to create a community plan that highlights key features and land use areas within your local community. Students will produce a high quality map that contains a variety of different physical/natural features, human/constructed features, and land use area designations. Just like a geomatics scientist, you will create a collection of point, line and polygon features and symbolize them with appropriate symbols and colours. See Industrial Design labs Carleton students use to manufacture prototypes as well as reinforce physical principles to create products and systems. A tour of the civil engineering structures lab will show how we test large specimens of steel, concrete and wood and highlight some innovative new materials and designs for new structures or to rehabilitate older structures or structures damaged in an earthquake. A tour on the Environmental Engineering undergraduate laboratory will include a discussion of the challenges facing drinking water quality following by a lab to assess drinking water quality and/or treatment. When Sir Isaac Newton wrote, “If I have seen farther than others, it is because I have stood on the shoulders of giants,” he was being generous, but he was also being truthful. Good science builds on the work of others and explicitly acknowledges their work. Youth Science Canada affirms that the pursuit of truth is grounded in certain core values, including diligence, civility and honesty. One of the most important traditions in the scientific community goes hand in hand with honesty, and that is the tradition of academic integrity. Scientists build on others’ achievements. They must be able to trust the integrity of the published literature they build on. Students want to work in communities where competition is fair, integrity is respected and cheating is not tolerated. Students have significant responsibility to help protect and promote the highest standards of academic integrity. They are expected to respect the best values of their teachers, mentors and parents, and these values include a full commitment to academic integrity. At all science fairs, but particularly at the Canada-Wide Science Fair, students are required to present work that is the result of their own efforts. All assistance received from others must be acknowledged, and all written material that draws on the work of others must be accompanied by appropriate references. Plagiarism – presenting the work of others as your own without acknowledging the source. In this case, “work” means scientific results, conceptual development of a topic and substantive formulation or reformulation of a problem. This includes work done by a family member or a mentor. Information on how to properly cite references can be found in CWSF Project Report (Policy 3.1.2.4). Students rightly expect their academic work to be fairly and fully assessed. Youth Science Canada will ensure that judging at the CWSF is of the highest professional and ethical standards, without bias or conflict of interest. Youth Science Canada also works with affiliated regions and other partners to achieve the highest possible standards of judging at all levels of science fairs. CWSF participants must read the full Youth Science Canada policies: Academic Integrity (Policy1.5.5), Code of Conduct (Policy1.5.1) and Discipline (Policy1.5.2)– before signing the CWSF Permission and Release form or attending the CWSF. The list below includes all available Special Awards. A project may be nominated for up to three Special awards. Only those awards for which a project is eligible will appear in the Special Awards area of the CWSF online registration system. The three rows below each award - Junior, Intermediate and Senior - indicate whether the award is available to projects in that category. "N/A" indicates that the award is not open to that category. An outstanding project that demonstrates effective use of one or more of mathematics, database manipulation and statistical analysis, combined with written and oral communication skills and creativity to investigate or solve a complex problem. Preference may be given to projects that quantify potential losses or design creative ways to manage or reduce the likelihood or impact of undesirable events. An outstanding senior project related to acoustics, the science of sound. An outstanding senior project related to the use of laboratory testing to better patient care. An outstanding intermediate project related to health sciences demonstrating excellence in the planning and design of a biomedical experiment, innovation or study relevant to medical laboratory science. Senior outstanding projects related to one or more of: stormwater, water and wastewater quality, water resource-management, water protection, water or wastewater treatment, water education and other social or science related aspects of water. Up to three projects selected at the CWSF will then be required to submit a written report of their project for final selection. One winning project will then be chosen to represent Canada at the Stockholm Junior Water Prize Competition. The two runner-up projects will each receive a $300 cash prize. Senior: All-expenses paid trip to Stockholm, Sweden, August 25-August 30, 2018, for up to two student(s) of the winning project to represent Canada at the International Stockholm Junior Water Prize Competition (www.sjwp.ca). An outstanding project related to the science of physics. An outstanding junior project related to transportation. An outstanding project related to engineering demonstrating an innovative, creative and well-tested solution to a real world problem. An outstanding project related to astronomy - observational, instrument construction or other. An outstanding junior project that celebrates Aboriginal people’s accomplishments and traditional knowledge by showcasing, exploring, reinforcing and expanding intersections between Indigenous knowledge and Western science. An outstanding junior project related to sustainable agriculture or farming. An outstanding junior project related to food security or food service. An outstanding project that demonstrates a practical solution to managing the impact of climate change. Eligible projects include those related to home, school or community infrastructure; flood prevention/management; forest fire prediction/prevention and minimizing the effects of extreme weather events. Senior: $1,000 cash and certificate plus an all-expenses paid trip to Waterloo, Ontario during summer 2018 to visit the Intact Centre on Climate Adaptation at the University of Waterloo, Canada's leading research centre on climate change resilience. An outstanding Senior CWSF finalist who demonstrates a keen interest and a strong aptitude in both physics and mathematics. The finalist’s project need not be in the area of physics. The chosen finalist must be fluent in both written and spoken English. The award consists of a full scholarship to participate in the International Summer School for Young Physicists 2018 (ISSYP 2018) from July 15-28, an intensive two week enrichment program that will introduce the student to the fascinating picture of our universe as seen through the eyes of contemporary physicists: from the bizarre quantum world of atoms and subatomic particles to black holes, warped spacetime and the expanding universe. The student will also interact with professional physicists at Perimeter Institute in small group mentoring sessions, participate in field trips to leading experimental science laboratories, and forge new friendships with like minded young people from around the world. The scholarship includes room and board and travel expenses to and from the Institute. Senior: Full scholarship to participate in the International Summer School for Young Physicists 2018 from July 15-28 at Perimeter Institute for Theoretical Physics in Waterloo, Ontario. Total value $3,500. An outstanding senior project related to fertilizers, plants and soil science. An outstanding project related to both energy and air quality with a demonstrated interest in environmental stewardship. A project that merits application for a patent. The invention must show novelty (be the first in the world). It must show utility (be functional and operative). A patent is granted only for the physical embodiment of an idea (for example, the description of a possible door lock) or for a process that produces something tangible or that can be sold. You cannot patent a scientific principle, an abstract theorem, an idea, some methods of doing business, or a computer program per se. Fast fact: Ninety percent of patents are for improvements to existing patented inventions! Intermediate: An outstanding project by a finalist in grade 9 or 10 who will apply to SHAD 2019. Awarded to a finalist who exhibits the SHAD values of creativity, excellence, community, diversity, and responsibility. Preference is given to rural students. Single projects only. Each year, SHAD provides the opportunity for 750+ students from across Canada and internationally to attend a month-long summer program, in residence at a Canadian host university, focused on STEAM (science, technology, engineering, arts, and mathematics). An outstanding intermediate project in statistical theory, or one that makes use of sound statistical techniques in study design, data analysis and data presentation. An outstanding senior project in statistical theory, or one that makes use of sound statistical techniques in study design, data analysis and data presentation. An outstanding Senior project by a finalist (or finalists) in grade 11 or grade 12 (Secondary V, CÉGEP I or CÉGEP II in Quebec) who is admissible to pursue university studies in science at uOttawa. In the case of a team project, each finalist will be eligible to receive a scholarship. The University of Ottawa will provide the recipient or recipients with more detailed information during the days following the Canada-Wide Science Fair. The recipient will work with scientists and take part in important scientific discoveries during two consecutive summers. In the summer preceding the first year of studies in an undergraduate program at the Faculty of Science, University of Ottawa, the recipient will earn $3,750 as a research assistant to one of the world class professors. By succeeding in the first year of studies, the research experience will be extended to a second summer, during which he/she will earn $6,250. An outstanding project by an individual Grade 11 student that is related to engineering – demonstrating an innovative, creative and well-tested solution to a real world problem. Senior: Full scholarship to participate in the faculty of Applied Science & Engineering’s weeklong DEEP Summer Academy in Summer 2018, a unique program designed to expose bright young minds to concepts usually presented in the upper years of an undergraduate degree or in graduate school. The program allows students to explore some of the most innovative topics in engineering and science today—taught by some of our faculty’s top alumni, PhD candidates, and Master’s and undergraduate students. Award includes room and board, and travel expenses up to $1000. Total value: $3000. Senior: Full scholarship to participate in the faculty of Applied Science & Engineering’s weeklong DEEP Summer Academy in Summer 2018. Total value $3,000. Outstanding innovation projects selected for their ingenuity, originality, development and potential social and economic benefits. Youth Can Innovate judges may, depending upon the number of self-nominations, focus their interview time on a shortened list of projects that appear most applicable to the Youth Can Innovate Award criteria. Intermediate: Four projects will each receive a $750 cash award and certificate. Senior: Eight projects each receive a $1,000 cash award and certificate. Four of these Youth Can Innovate Award winners will also be announced as winners of an additional $7,000 cash award. 5 years ago ago by Youth Science Canada. Visit the Online Store to pre-order your CWSF merchandise, including hoodies, t-shirts, mugs - and Expo, the CWSF Bear. Your order will be ready for pickup at the CWSF Store outside the Project Zone.